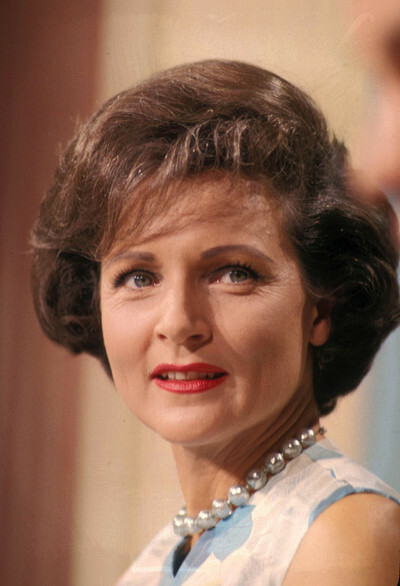 Betty White celebrated her 90th birthday this year. She is also one of the newest celebrities on Twitter which doesn't surprise any of her fans because she is the perfect example of someone who embraces all the various changes and trends in popular culture and simply enjoys them. She is an actress whom we almost feel we know personally through her personality and good character. Television comedy is part of what keeps us all going. I have had many a down day made better by being made to laugh at something I have seen on a TV comedy show. 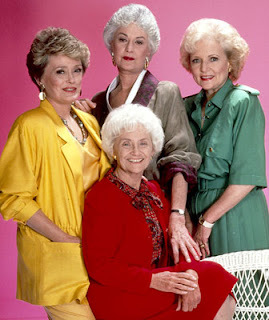 In the 1980s I adored The Golden Girls and it is a show that will always make me laugh. When you're a child you don't really get half the humour but you know you love the characters and their lives. They are made real for us and you believe in them. Re-watching the shows as adults we get all the jokes and we love that shared connection that nostalgia gives us. Estelle Getty, Bea Arthur, Rue McClanahan and Betty White made so many story-lines work so well because of how they worked together as a comedy team. For all of the comedy moments on The Golden Girls various seasons there were also many great episodes where more poignant dramatic themes were explored and handled so skilfully by the show's directors, writers and of course the four lead actresses. My all time favourite episode is called Isn't It Romantic which featured Lois Nettleton as a bereaved friend of Dorothy's who develops a crush on Rose. It featured in season two in 1986 and the episode was so brilliantly and beautifully done. Here is one of the most memorable scenes from that episode. Here is Betty White talking about The Golden Girls. She talks about reading for the part of Blanche. Rue McClanahan sits beside her and well just look at her face as Betty talks. and I had to post a montage of some of the many classic moments from The Golden Girls which includes moments from all four of those wonderful women. One aspect of the Billboard Hot 100 singles chart that I have always liked is the fact that it includes country music singles too. There are many crossover country singers who have continuous success in the American charts. 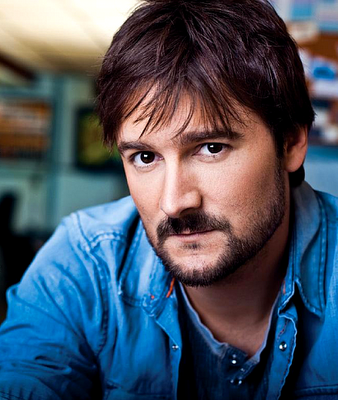 One country music star whose success in the Billboard charts is increasing with every song that he releases is Eric Church. Last year I complied a weekly list of my own favourite songs and two of the ones that I loved most at the time were by Eric Church. One was Smoke A Little Smoke from his 2009 Carolina album which got to number 78 on the Billboard Hot 100 chart and the other song was Homeboy which got to number 53 in 2011. Homeboy is taken from Eric's newest album Chief which also features his number one Country music and Billboard Hot 100 number 40 chart hit Drink in my Hand. The latest single from Eric's Chief album is called Springsteen which is currently at number 14 in the American Country music charts and is at number 26 this week on the Billboard Hot 100 chart. I think that he is exactly the kind of country singer who could do really well in Ireland too so I hope he plays a concert here someday. and the fourth song is an AOL Sessions live performance of his newest single Springsteen.